I’m often asked what I’m reading. I posted a list back in 2011, but here’s what I’ve been snacking on this past year as well as some of my favorites. 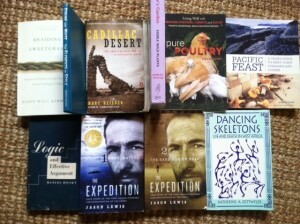 Please note, I'm not suggesting you read any of these; my taste is my own. You like trees? Live in a wood house? Use paper? Then I guarantee you’ll be blown away by this book. There’s a lot of nature education but there's also a mystery. It’s seriously good. Forget what I said before--you gotta read this book. 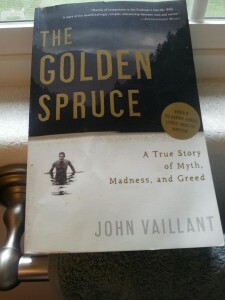 (I just lent this book to my mom so I had to call her and have her take a picture and text it to me so I could download it to my computer and then upload it to my website to use for this post. PICTURES are the busy-work of blogging.) 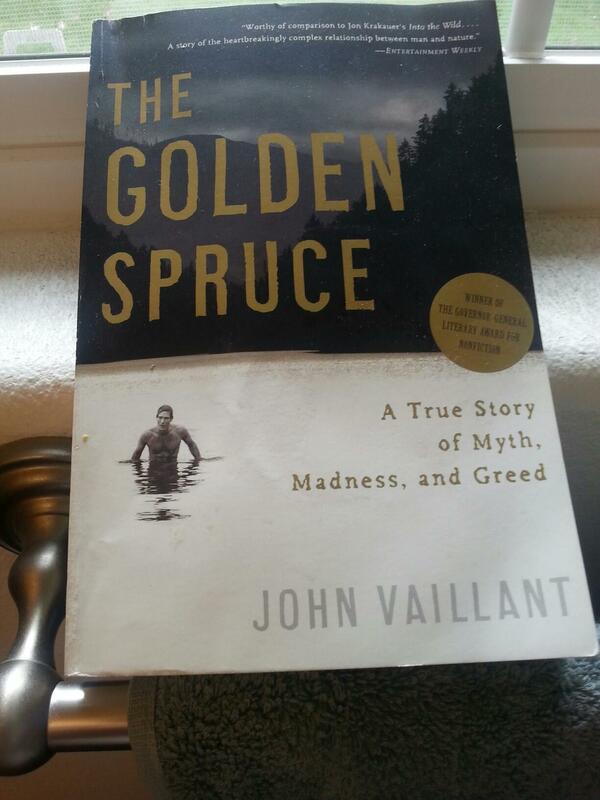 Here's NPR's review of The Golden Spruce. You like water? Have water piped into your house? WOULD YOU DIE WITHOUT WATER? Ever remove your fingers from your ears after you're done saying "LAH LAH LAH LAH LAH LAH LAH LAH I CAN'T HEAR YOU"? Seriously, Cadillac Desert should be mandatory for anyone turning on a faucet. I called my dad all excited about this book last year and he said, “Darlin’, I read that book 30 years ago, and yes, it’s a great book.” Read this one too. I’m currently reading this one so I don’t have much to say other than it’s beautiful to see multiple perspectives honored in a single book. And...nature, man. I love this book so much I wrote an entire post about it last year. I was also stoked to see that Sam Thayer, the author of Nature's Garden, did an interview with Daniel Vitalis for his ReWild Yourself Podcast. Listen to that here. Yes, I’m thinking of raising turkeys this year. No, I do not have any clue what I’m doing. But I have this book, so wish me luck. 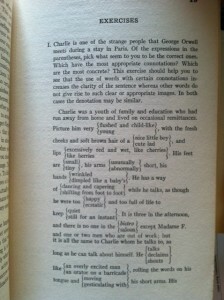 I found this in a used bookstore and I read it (and re-read it) one lesson at a time. Over the years I have found that critical thinking is it's own skill and requires its own study and practice--and this book has homework! 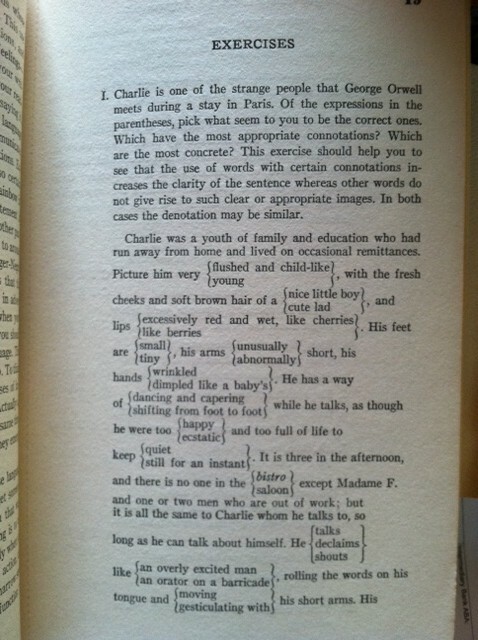 If you enjoy the more concise and less wordy format of Whole Body Barefoot, you can thank authors Strunk and White. (See if you can spot the stylistic faux pax in that last sentence, and in this one.) Everyone neds an editor, but until they get one, everyone who puts fingers to keyboard should read The Elements of Style. Human loss, in scientific circles, is often reduced to data. This book, however, gives it real life via the perspective of a researcher in Mali, working on collecting data regarding nutrition. I also found it very thought provoking; I became aware of quite a few cultural blind spots (in myself) after reading it. Favorite parts were about the "normalcy" of diseases related to what we now recognize as nutritional deficiencies. Meaning, in a culture devoid of a particular input, the conditions arising from that lack of input are commonly regarded as normal. I said, in a culture devoid of a particular input, the conditions arising from that lack of input are commonly regarded as normal. This just for other cultures, not mine. LAH LAH LAH LAH LAH LAH NOT MINE. Jason Lewis is the first person to circumnavigate the globe using human power. I was so impressed with his achievements, I asked him to write the foreword to Move Your DNA...and he did! The story of his 46,505-mile journey has been broken down into three books. I've read the first two AND AM WAITING FOR THE THIRD BOOK! I mean, I know how it turned out--he's alive despite being hit by a car in Colorado (and then given a citation for the incident)--but the story is invigorating. Highly recommend the series as a gift for the adventure-prone/wistful. Ok, I put all the non-fiction books up front, but here's the real deal: I’m a sci-fi geek that likes to read the same book again and again. Two favorites that get read at least 5 times a year are The Traveler by John Twelve Hawks and The Sparrow by Mary Doria Russell. 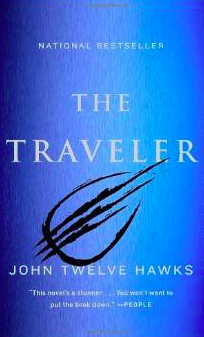 If you're into dystopia and the future of constant surveillance and the idea of magical, radical thinkers, you'll love The Traveler. You can also download Jonh Twelve Hawks' free book Against Authority (here's an excerpt) on the growing power of surveillance technology. In fact, I'm pretty sure that by linking to JTH's website, I've made some government surveillance list. And, THE SPARROW. Seriously. Changed my life. I never looked at a cow (or words, for that matter) in the same way again. Read it and then call me to discuss. I've been making a real effort to reduce the amount of time I use my eyes to see close-up. In addition to less screen time, I've also replaced reading with listening. Here's a list of what I've listened to, or what I've purchased to listen to. 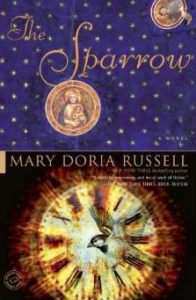 The Sparrow. Read it and listen to it. Maybe read and listen to it at the same time, because it's that good. The Traveler. Maybe download it using someone else's account, and listen to it while on the move. 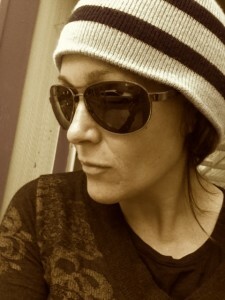 Maybe wear sunglasses and a hat too...just in case. The Sports Gene. SO GOOD, YO! The Emperor of All Maladies. My husband also wants me to add the book Shantaram, because he says it's the best book ever. What's your "best book ever?"